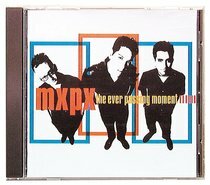 MxPx are an institution in Christian Music. Their brilliant mix of blistering pop/punk and humorous yet intelligent lyrics have helped them conquer both the Christan and secular markets. Includes the hits 'Responsibility' and 'My Life Story'. You need to buy this CD. About "The Ever Passing Moment"